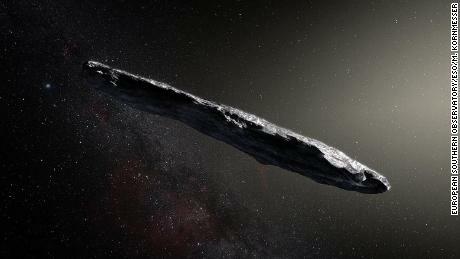 A mysterious cigar shaped object was spotted in our solar system. Astronomer from Harvard University suggested that this could be an alien spaceship. Astronomers were unable to explain the features and origins of the object. They first called it a comet, then asteroid and finally concluded that it is a new class of an interstellar object. Researchers at Harvard said that the elongated dark object was travelling at a speed of 196000 mph. And they believe it is artificial. The object was sailing through space at high speeds and in an unusual trajectory. Many of the scientist do not want to classify it as extraterrestrial life. They still believe that they don’t have proof. Scientist hope to trace back the original path of this strange object in order to come to a conclusion. It’s really a cool and useful piece of info. I’m glad that you just shared this useful information with us.